Schleswig-Holstein is the northernmost of the sixteen states of Germany, comprising most of the historical duchy of Holstein and the southern part of the former Duchy of Schleswig. Schleswig-Holstein lies on the base of Jutland Peninsula between the North Sea and the Baltic Sea. It has borders with Denmark to the north, the North Sea to the west, the Baltic Sea to the east, and the German states of Niedersachsen, Hamburg and Mecklenburg-Vorpommern to the south. Its capital city is Kiel. Other important cities are Lübeck, Flensburg and Neumünster. Due to its Danish and Frisian influences, the culture of Schleswig-Holstein is quite diverse. It is characterized by historical and geographical factors such as the situation between the two seas, the North and the Baltic Sea, as well as the preliminary rural culture. Especially in the north of the Scandinavian influences in architecture and interior design is evident. Schleswig-Holstein is a country with a rich literary tradition. Therefore, names like Johann Heinrich Voss, Matthias Claudius, Friedrich Hebbel, Theodor Storm, Klaus Groth and Heinrich and Thomas Mann. Thomas Mann’s novel “The Buddenbrooks’’, has brought international fame to the city of Lübeck. In musical terms, the country is home to the 1986 by Justus Frantz founded in Schleswig-Holstein Music Festival, the largest classical music festival in Europe. It is presented annually in July and August, about 130 concerts for over 100,000 visitors, distributed to 30-50 venues around the country. Schleswig-Holstein also houses annually the world’s biggest heavy metal concert, the Wacken Open Air Festival. Schleswig-Holstein has in addition to a multitude of smaller theaters, three large multi-genre theaters: the theater of Lübeck, the opera houses of Kiel and the Schleswig-Holstein State Theater based in Schleswig. The spectrum of the 250 Schleswig-Holstein Museums is broad. It extends from the central national museums to the Stiftung Schloss Gottorp on the historic castles and large houses in the cities to a variety of local museums. 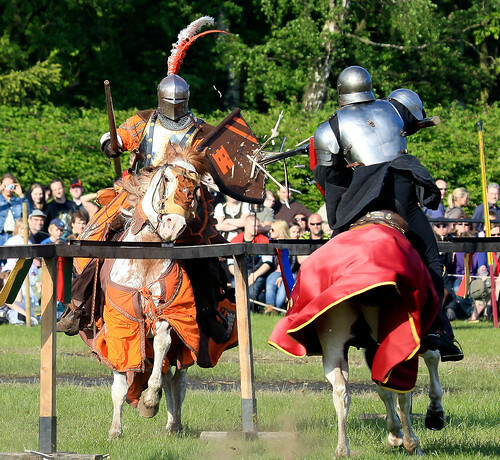 The Medieval Spectaculum in Hohenwestedt offers every year a three-day spectacle with medieval markets and jousting tournaments. Cooking in Schleswig-Holstein has been molded by both its location and its climate. Meals in this region are historically rich and healthy, and often high in fat. The high calories were needed to sustain health in the harsh weather and winds of the region. Popular dishes include stews, hams, and a large variety of seafood. Meat dishes are primarily beef or pork and vegetable dishes are most commonly potatoes, kale and cabbage. Schleswig-Holstein plays a large role in Germany’s dairy industry. Dairy farms in Schleswig-Holstein account for one-tenth of Germany’s milk and dairy products. A local specialty is Tilster cheese. Schleswig-Holstein is also known for its Marzipan, which is sold around the world. Lübeck was once known as the Capital of Marzipan. Here, the first Marzipan factory was opened in 1806. Popular foods and dishes in Schleswig-Holstein include Tilster cheese, Rote Grütze, Lübecker Marzipan and beer such as Flensburger Pilser, Dithmarcher Pilser. Being a low-lying region, Schleswig-Holstein has excellent natural harbors along the Baltic coast. The state has fertile agricultural lands. Farming and cattle raising is pursued, although agricultural production accounts for less than one tenth of the state’s yearly output. Shipping and fishing are important along the coasts. Manufacturers of Schleswig-Holstein include ships, textiles, electrical goods, paper clothing and machinery. There are oil fields in the Dithmarschen region in the southwest. 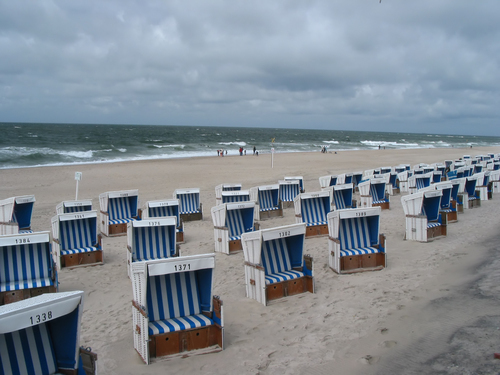 The islands of Sylt and Föhr and the southern Baltic coast are popular tourist resorts, while Eutin, Lübeck and Schleswig are historic centers. Schleswig-Holstein is an ideal place for holidays for the whole family. The clear waters of the Baltic, its gentle waves and white beaches mainly attract families with children to the many seaside resorts along the entire eastern coast. Traditional roofed wicker beach chairs providing protection against the wind and sun, restaurants along the waterfront offering a view of breath-taking sunsets, and walks along the beach. Fans of waves breaking on the beach venture out to the North Sea islands of Amrum, Föhr and Sylt. The western coastline of the mainland also has wide, sandy beaches: St. Peter Ording is a paradise for sand-yachting. 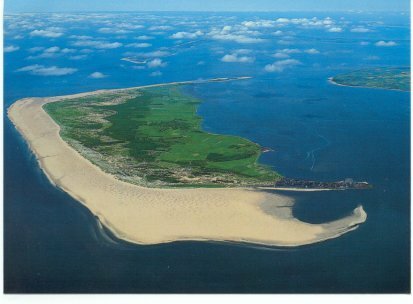 Birdwatching and beach holidays can also be combined on Germany’s only island in the open seas Helgoland. Once a year, Schleswig-Holstein’s state capital Kiel becomes a Mecca for all regatta sailors: Kiel Week, the world’s biggest yachting event, is held here in the last week of June. Hundreds of boats from home and abroad visit the Kiel Bay and make Kiel Week one of Europe’s biggest festivals.